The old saying should actually be a dog is a Single Girl’s best friend! And here are 5 reasons why. 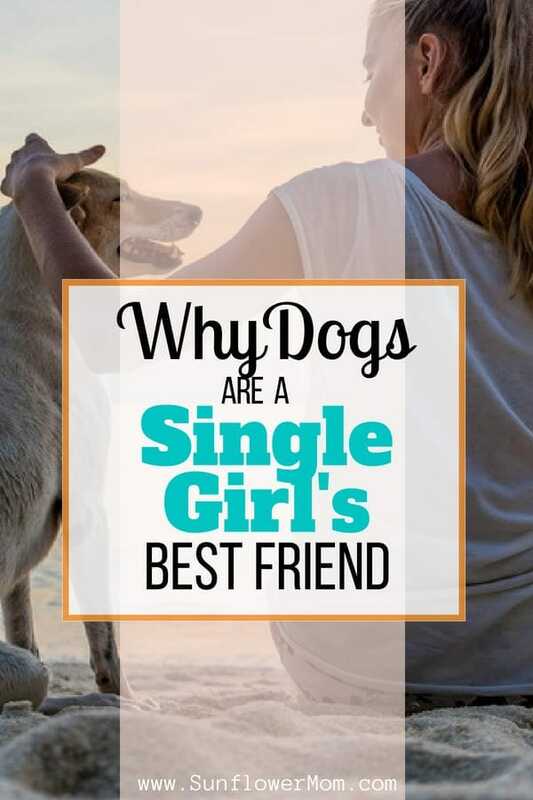 If you are a single girl and considering a dog then check these reasons out! Being single offers many opportunities when you alone. Especially the first few months or even years of a separation are the toughest. Learning to let the kids leave for whole weekends leave the house eerily quiet. You can find yourself not speaking a single word for the whole weekend and no sound except for the TV. Initially, I thought the last thing I wanted was another thing to take care of. And although a dog is a lot to take care of, especially a puppy, the companionship they offer when you are single and alone is priceless. Depending on what led you to singledom, loyalty most likely is a big deal to you. Dogs have a way of working their way into our hearts. They greet you at the door after your worst day ever like you are the best person on the planet. They don’t care if you yelled at them before you left. They are simply happy to see you. They will lay down with you and let you cry. They will snuggle with you. They become your best friend. Of course, it depends on the kind of breed you have, but most dogs are fairly protective. As a single mom, I prefer a bigger guard dog. I have a small toy poodle that likes to bark at noises but anyone can walk right in! But then my German Shepard also likes to bark at noises but she’s better than any security system I’ve ever had! I no longer lay awake at night listening to noises. I know my 90-pound dog has both ears up and ready all night long. She’s also been a complete comfort to my kids when they were old enough to stay home alone. Pets can improve your physical health. Dogs need to be walked, and puppies needs walked A LOT! Get yourself a big puppy and you’ll be walking (or running) that puppy so much you may just find yourself in the best shape of your life. All so that adorable little puppy doesn’t tear up your house. Studies have shown that dog owners that walk their pets regularly may lower their risk for obesity and allergies. Not only does having a dog help your children learn important social skills like empathy and kindness, it does wonders for you a single woman. Being a single girl can be isolating, but having a dog, especially one that needs to be exercised is a great way to get out regularly. Finding pet-friendly activities in your area, or even taking a vacation with your pet, decreases social-isolation which promotes higher levels of life satisfaction.